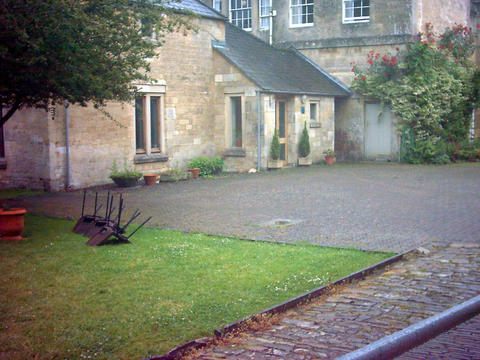 Autscape was held at Ammerdown in Bath, UK (external link) in 2005, 2006 and 2007. By Road: To protect the privacy of the event and the venue, specific driving directions were given to participants after registration. By Train: The nearest main line station is Bath Spa. Trains leave from London Paddington direct to Bath or via Bristol. Principal regional train services operate direct to Bath from Cardiff, Oxford, Brighton/Portsmouth/Southampton etc. By Air: The nearest airport is at Bristol. From there, Bath Spa can be reached by rail or taxi. If arriving in London, Heathrow and Gatwick airports are closest to Bath and have the most direct train services west. Stansted airport often has very cheap flights, but don't forget to take into account the often considerable travel time and cost as it is well out the opposite side of London. We were able to provide coach transport from Bath Spa at a nominal cost. If you wanted to use this service, you indicated your interest when you registered. 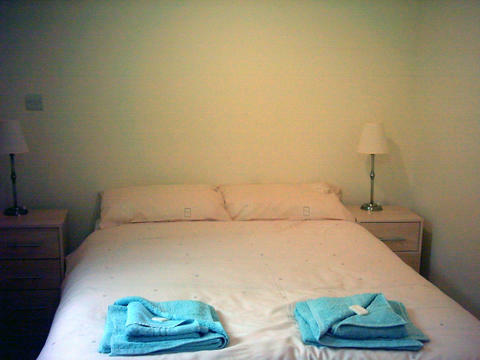 Accommodation was in twin bedded rooms with ensuite shower room. 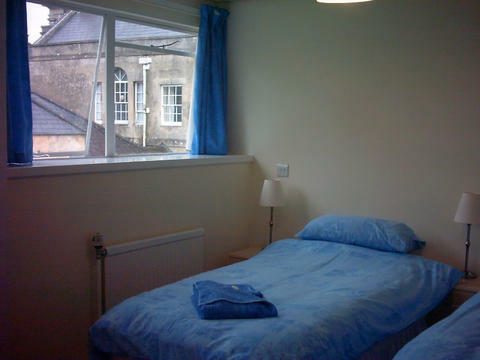 Double bedded and a few single rooms were also available. If you didn't already have someone you would like to share a room with, you were matched with another participant on the basis of your needs and preferences. It was also possible to stay off-site and attend for days only. Autscape registration included 3 meals per day for those staying on-site. Self-catering was possible for a limited number. Mealtimes were: Breakfast 7.30-8.30, Lunch 12.30, Supper 6.30. If you need more food or at different times, you could bring your own. There was a small fridge available for communal use, but space was limited. Most breaks between activities were half an hour. Coffee and tea were always available and biscuits and cakes served once in the morning and once in the afternoon. Breaks were a time to relax and recharge before the next session. Most special diets (e.g. nuts, seafood, dairy and gluten free diets as well as vegetarian, vegan, and diabetic diets) could be catered for if given at least one month's notice in advance. Please note, however, if you required a particularly restrictive or complicated diet, you may have needed to cater for yourself, for which a limited facility was available. 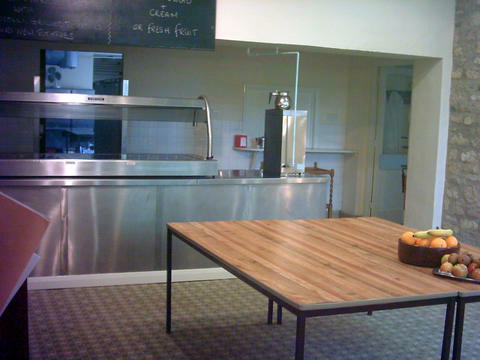 Meals were served cafeteria-style, with a queue and servers, in a communal dining hall, but once you had your meal you could take it to your room or out to the garden if you find a full room difficult. No food or drink may be taken to the meeting rooms due to problems with spills. There was be a quiet room available at all times for those who needed to escape the noise and activity. This is located in a separate building near the main building and garden. Its official name is the Harness Room from the days when it was used in horse riding. There would be no talking or interaction at all in the quiet room. As it was seldom used, there as a good chance it would be empty should you have needed to get away from all the people. Although Autscape has no religious affiliation at all, the venue has an interfaith/Christian orientation. 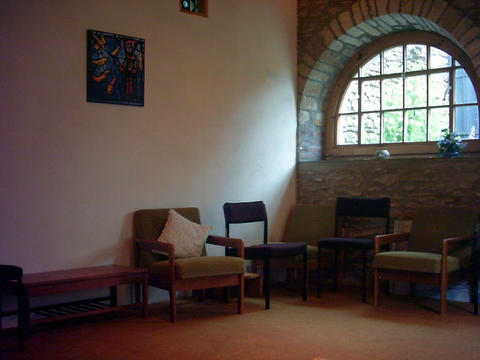 There is a chapel on-site, which is sometimes used for prayer by the resident community (which Autscape participants were welcome to join). 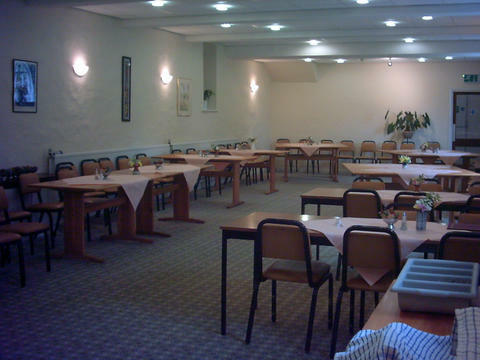 It was also used for the music group in the evenings. However, the rest of the time it is another peaceful and pleasant environment to get away and relax. 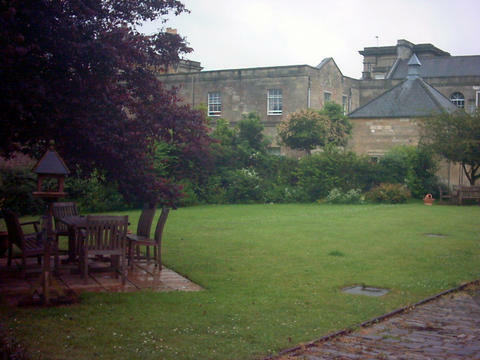 The venue is on a very large estate with lawns, tall hedges, and woodland. Autscape attendees were welcome to walk around the grounds as they pleased except for the private areas, which are clearly marked.